1) Character round-up! Match the character to their name. Careful, more characters in the list than pictures...and names can be used twice. Watch out! 2) Match the character to their name. 3) Match the character to their name. 4) Match the character to their name. 5) Match the character to their name. 6) Match the character to their name. 7) Where do we first see Shrek living, in the original movie? 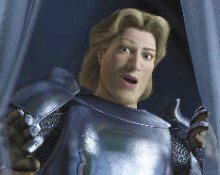 8) In the first flick, why did Shrek agree to rescue Fiona for the evil prince? 9) How did we see the prince torture the Gingerbread man, in the original? 10) Which character said this? 11) And who said this? 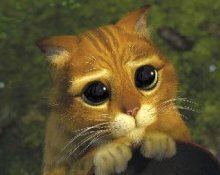 12) What was Puss in Boots' character at the start of the second flick? 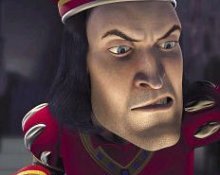 13) What was the name of the potion Shrek drank in part 2? 14) Toughie: What was the name of the giant gingerbread man at the end of the second flick? 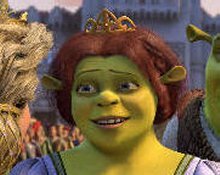 15) Whom does Fiona first marry in the original Shrek? 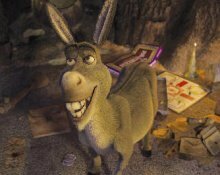 16) Whom provides the voice for the Donkey in Shrek? 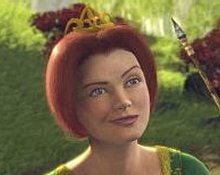 17) Where were Shrek and Fiona married? 18) According to Shrek, Ogres are like onions, they have ______?